Santa Kitty has a friend: Santa Bear! Remember this Santa Kitty Christmas card from last year? Well, I found a new place for Santa's Hat! The design team's samples on their blog include some very cute stamped bears in Santa hats. I've had my own die cut bear for a while, but it just so happens that a new scrapbooking store opened near my house: Scrapbook Queens. I bought some flock there last weekend and I've been looking for a chance to use it. I was going to make the bear brown, but then I thought it might be too dark with such a dark green paper. So, I decided to make the bear grey. It looks so soft and cuddly! I think the buttons do a good job providing contrast from the fuzz. Please post your comments and let me know if you like him! I will have to find some good papers to make a brown bear too! My long-time friend from my high-school days recently celebrated a birthday. I made a card to send to her. We both like the fantasy genre: dragons and magic and fairies and such. So, this image from Meljen’s designs was perfect! I am still new to the world of stamping, but my last guided venture gave me the courage to try some more. I printed this digital stamp on my computer with regular ink and did my best to heat set it with my hair dryer. Then I pulled out my Copic markers and started colouring. The only blending I did was in the butterfly's wings with two different blues and the hair with two different browns. In the body of the butterfly, I used the colour blender (which I call the colour eraser) to lighten a highlight line. I put stickles glitter glue on the fairy's wings. Of course, I had to do my favourite thing and get some embossing in there somewhere, so I embossed a border on the card. I hope she liked it! Speaking of Dogs - Online Auction - Mini Album! From MONDAY NOV. 8th, 9 am to SUNDAY NOV. 14th, 9 pm EST, Speaking of Dogs rescue in Toronto will be having an online auction. (Read about it on their blog.) At the last auction, I donated 5 handmade cards. Check out all the items from the last auction to get an idea of the things available and the pricing. Bids are very very reasonable! This time, I have donated a mini scrapbook album for dogs. The album measures 4 inches by 4 inches. The covers are made of chipboard coasters. The album is bound by two jump rings, so the owner can add his or her own pages if desired, but it does come with 20 pre-made pages. Each page can hold a single wallet-sized photo. Because the pages are held in by jump rings, the owner can also rearrange the pages however they wish! I added the faux chipboard dog tag and an acrylic, glittered bone to the front of the album as charms. The colour scheme of this dog-themed mini album is gender-neutral. Most colours are earth-tones with a splash of red or green here and there. Embellishments include bones, paw prints and a few titles. 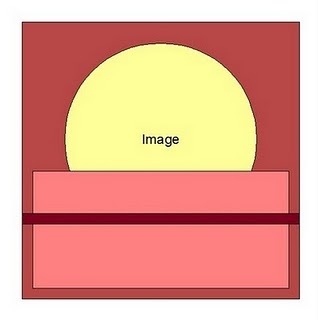 Where embellishments overlap the picture area, they have been adhered in a way that the photo can slide beneath them! I hope this album fetches a a decent donation for the rescue! It took me months to finish it. It sure was hard to come up with many different layouts. Tune in to Speaking of Dogs Rescue on Monday, November 9th to see what other items will be up for grabs. The last auction actually had quite an impressive list of goodies! Still riding the steam engine of Christmas cards, I recently attended a Stampin’ Up! class to make 3 heat-embossed Christmas Cards. One of my goals to improve my card-making skills has been to learn stamping. I had a class back in January 2010 and then in May, I learned that my cousin’s wife, Jodi, is a Stampin’ Up! Demonstrator. So, we made it in to a little family vacation. My cousin, his wife and their two kids (7 and 4) came for the weekend and we had another stamping class. I thought it might be easier if we focused on just one stamping technique this time around. Rubber stamping has been around for hundreds of years. It is a well-developed craft that can be used to embellish many different things (even clothing). Naturally, with a history-rich craft, there are a lot of techniques and products to learn. Stamping seems simple: image, ink, paper, right? At its most basic, sure that’s all you need. However, there are actually many gizmos that go with today’s stamping craft and it can be overwhelming. So, embossing was the technique du jour! We started with a plain embossing exercise. My favourite kind of embossing is dry embossing or texture embossing. This first card shows both textured embossing and a heat embossed stamped image. I am impressed by the quality of the Stampin’ Up! diamond rhinestones. They are really shiny without that visible metal-painted plastic rim that other rhinestones have. The next card we did was an emboss-resist. The name of it sounds really daunting. I was so thrilled with the ease of this one. It turned out to be my favourite. The medallion stamp was stamped on patterned paper and clear embossed. The embossed area will resist any ink we dab on to the paper. So, we dabbed ink over the rest of the patterned paper. The exposed paper absorbed the ink but the embossed part was preserved. What an amazing effect! We started late and took a long break after the second card, so we only got to do three cards of the four designs that were planned. The third card went one step farther again by both inking and embossing the stamped image and then doing the resist on top of that. When I saw the sample, I thought this would be my favourite but I actually loved just the bare effect of the resist on the middle card more. It was simpler to do with the same WOW. I think our class was very productive. Each of Jodi’s designs added one more thing to the last. Layering the lessons helped us get the hang of it better. Finally – I successfully learned a bit of stamping! I really like Jodi’s style. It is elegant, uncluttered and soft. If you would like to see more of her work, visit her blog: Come Stamp with Me. Charity Christmas Cards 2010 - Finale! Here are the last of the Christmas Cards that were made to donate to the Southern Ontario Animal Rescue this year. This batch is my own. I decided to experiment with some techniques for these. The first technique is glitter. Now, I have used glitter before, both with a masking technique and with a direct application. However, I had not built a whole scene before. So, using the masking technique, I made a glitter scene of a Christmas tree on a snowy hill. The entire scene is glitter, including the snow! For the one on the left, I used the direct application technique and placed my tree on a snow embossed background. On the next handmade Christmas card, I continued with the snow embossed background. This is a simple card - as simple as I could make it - and non-denominational. I think it always helps to have a handful of those around! I feel bad not sending a Christmas card to some friends only because they may not celebrate Christmas, so I always send a generic "seasonal" or "holiday" card instead. Because these are so simple, I made several of this design. I also had a good handful of the snowflake gold background paper, so I was able to make many for donation. Once I felt I had a good pile of cards done, I decided to try something totally new: outline stickers. Outline stickers mimic the look of embossed stamping. Instead of stamping first and then heat embossing the outline, you can use an outline sticker. The outline is raised, just like embossed ink, and then you colour inside. The last pair of Christmas cards are the crowning jewels. I bought this Santa stamp image from High Hopes Rubber Stamps specifically to make cards for SOAR. Now, I'm not a very adept stamper, so I considered this exercise experimental too. The image is just too cuddly cute! The left Santa I coloured with zig markers. These markers colour much darker than the right image, which I coloured with copic markets (which are alcohol based). I sponged the copic image heavily and then decided it would be too dark on the already darker zig image, so I sponged that one lightly. I love the brightness of the red and white background paper. It reminded me of candycanes so it was perfect for this image. The sentiment here was written with my die cut machine. I hope you've enjoyed our Christmas Cards for Charity journey. I will have to arrange to drop them off at SOAR in early November! The last creative crew member I’d like to show you for the handmade Christmas Card drive I ran for the Southern Ontario Animal Rescue this year is Claire. Claire takes great care when making her cards. She also has a box full of “bling” and finds the nicest accents. Like me, Claire's style seems to ensure everything has its place in the design. Her second card used a technique from one of our workshops: make a scalloped edge on the front and have a decorative strip on the inside that shows through. This trick adds interest to the inside of the card while still contributing to the outside design. Easy and effective – my favourite way to embellish!